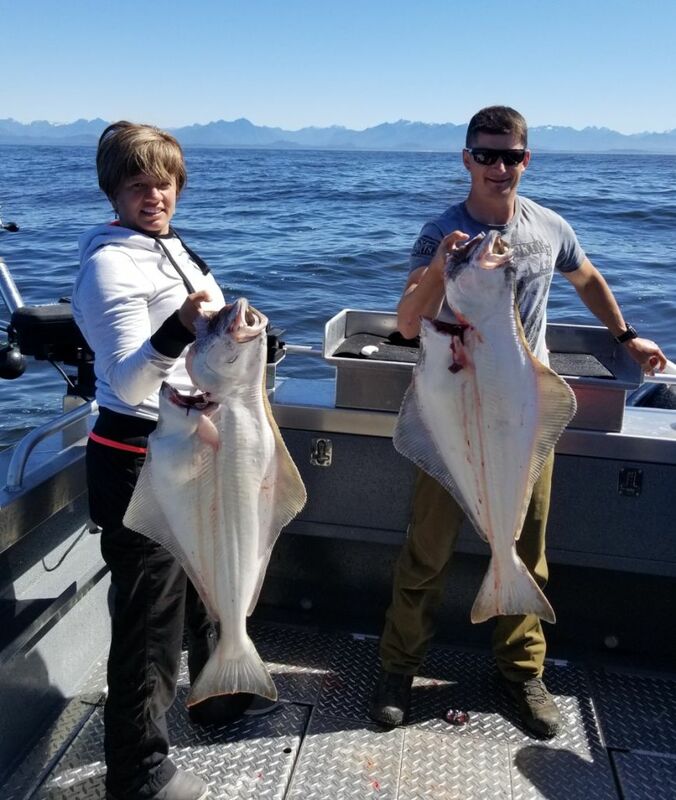 Its not every year we get fishing this good for both salmon and halibut in May and June. The Chinook are close to shore and also in some protected water spots as well. The weather has also been as good as it gets for sun and calm seas so that has been great. 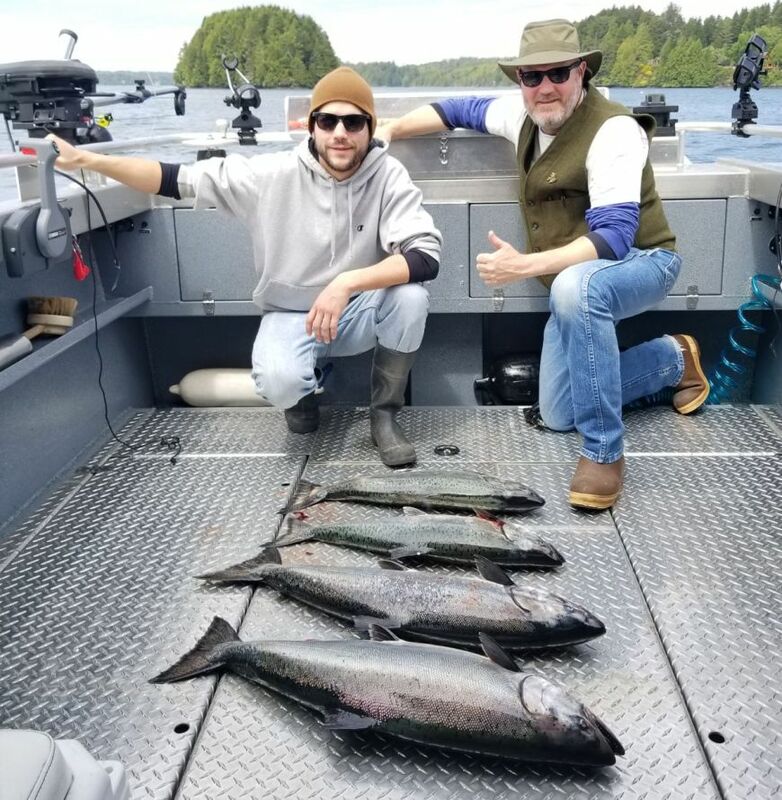 The Chinook (Kings) are mostly between 8-15 but in some spots they are averaging bigger. 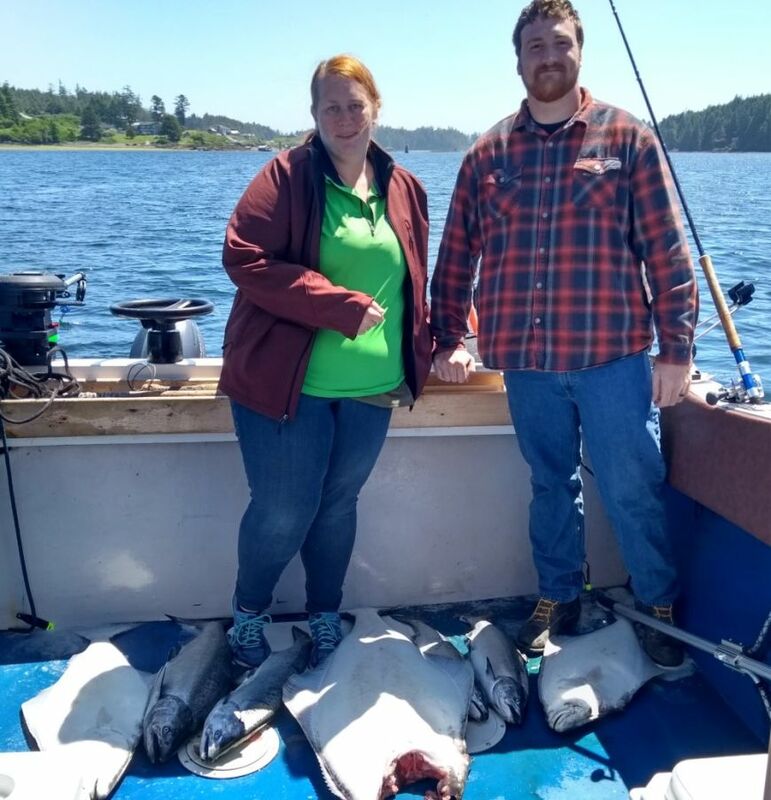 Ucluelet is one of the best spots on the whole coast to reel in a salmon or halibut so get excited, get your fishing license and lets go! 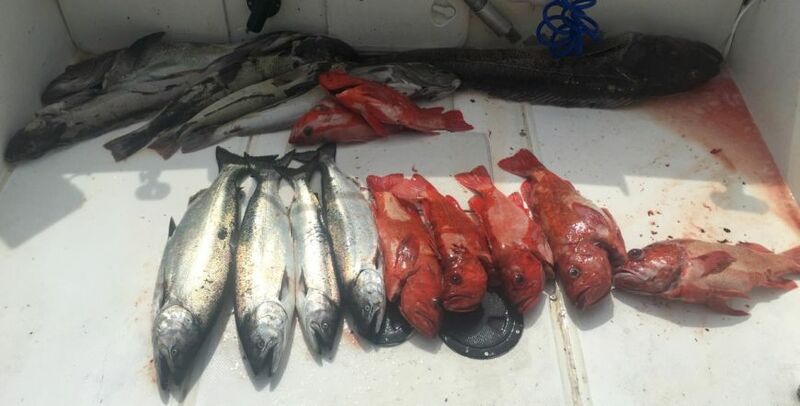 Below are some tantalizing photos (for fisherman only .) taken from May and June 2018. 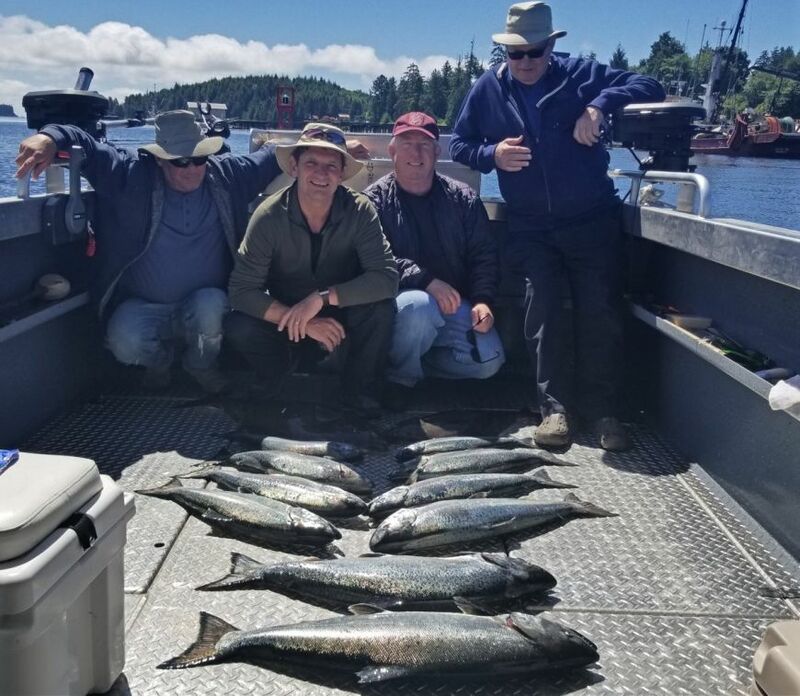 Check out our www.salmoneye.net/site/fishing-with-us/fishing-reports.html for the latest fishing report and dates and name of our customers! 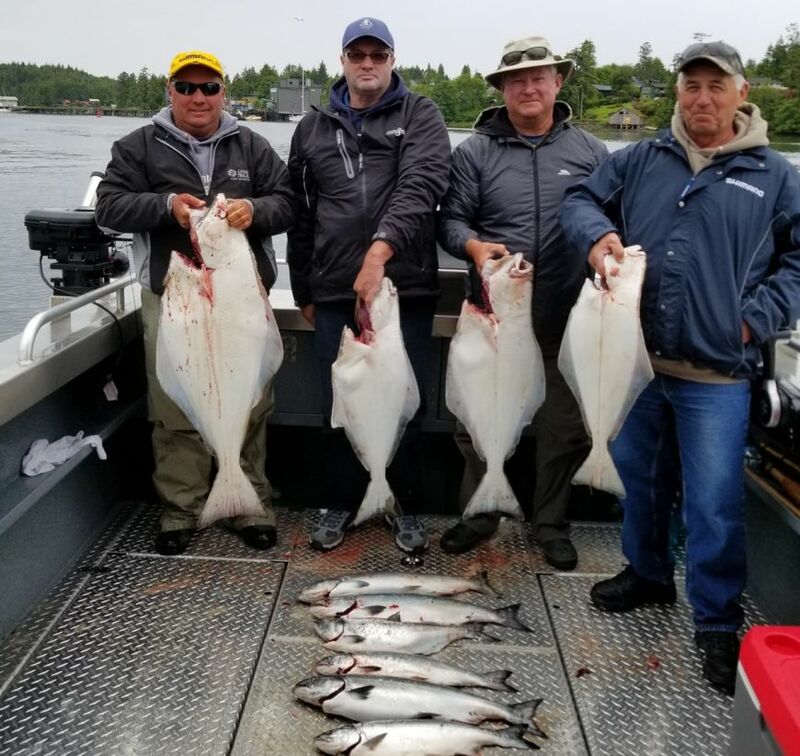 The sportiest way to catch salmon in my opinion is fishing live bait. 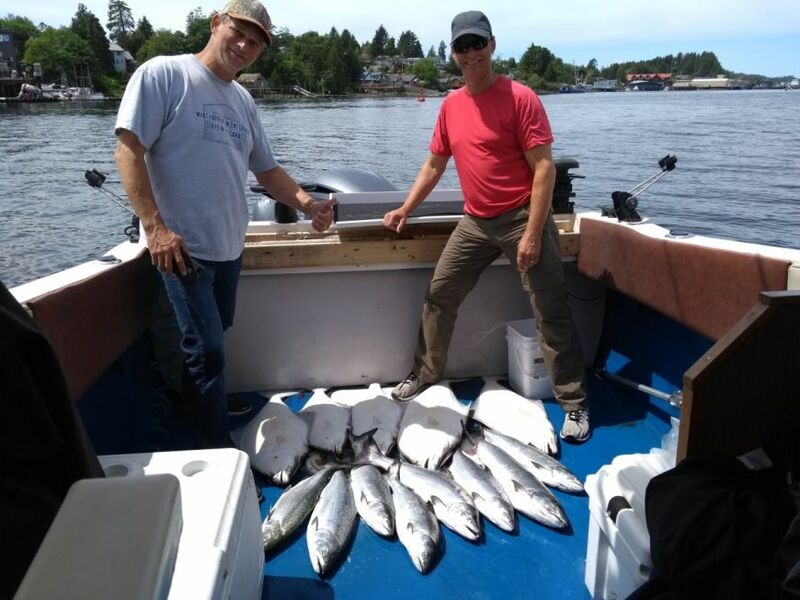 On the west coast there is generally two common ways to catch salmon. Troll with downriggers or cut plug herring. 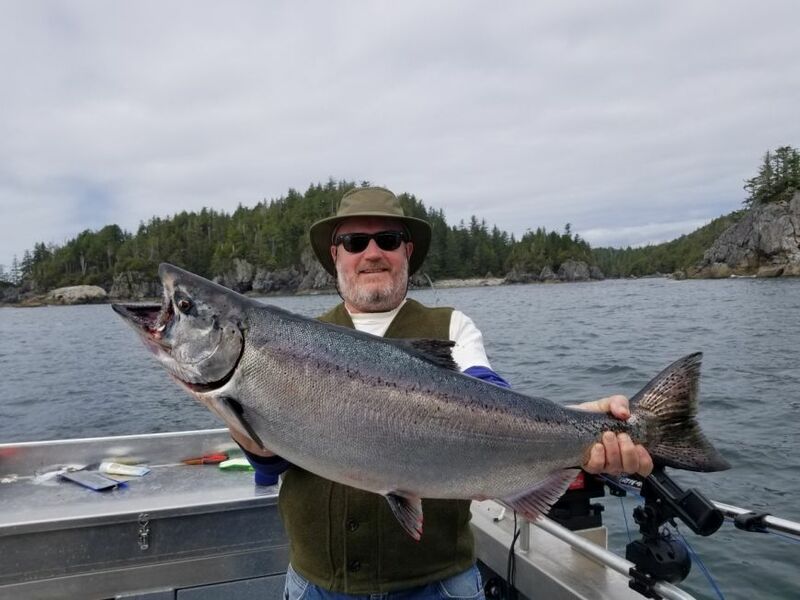 But there is another way most people don’t know about and that is to catch Chinook salmon in shallow water with live squid.